Traveling day today from Hallstatt to Salzburg! It didn’t take too long as it’s quite a short journey, but means we didn’t do too much once we got to Salzburg. We had a wander around a few parks (including the one from the Do-Ray-Mi song from Sound of Music, but I’m going to do a full post on my other blog with those photos!) 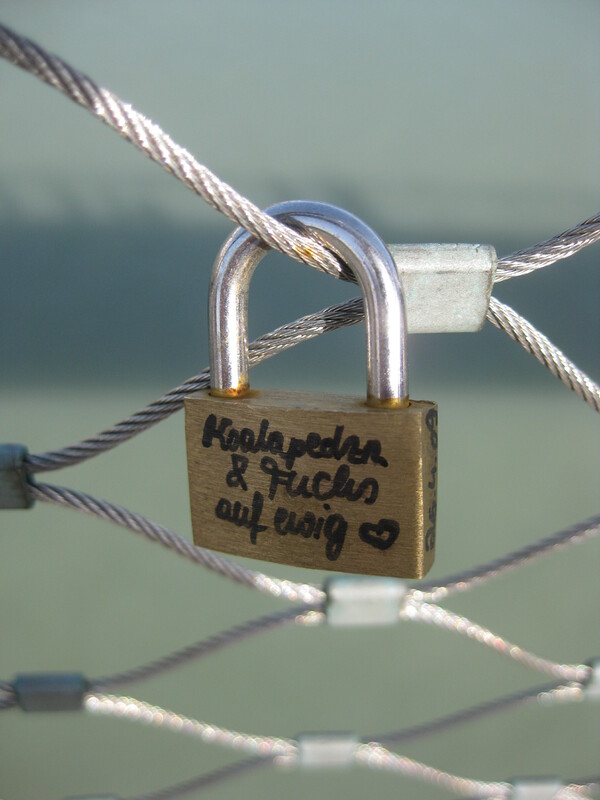 A photo that I really did like was this one, which is of the newest bridge in Salzburg, where people have been putting padlocks with their relationships on them, something that is becoming a global (or at least European) fad. I really like it, it’s sweet, and makes for an interesting browse.